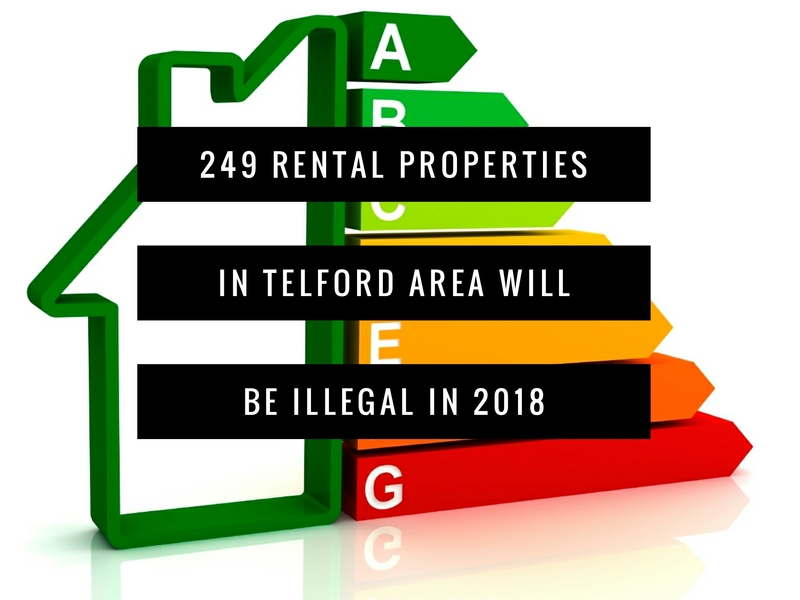 Personally, I have grave apprehensions that many Telford landlords may be totally unaware that their Telford rental properties could fall below these new legal minimum requirements for energy efficiency benchmarks. Whilst some households may require substantial works to get their Telford property from an F/G rating to an E rating or above, my experience is most properties may only need some minor work to lift them from illegal to legal. By planning and acting now, it will mitigate the need to find tradespeople in the spring when every other Telford landlord will be panicking and paying top dollar for work to comply. So, how many properties are there in the area that are F and G rated .. well quite a few in fact. 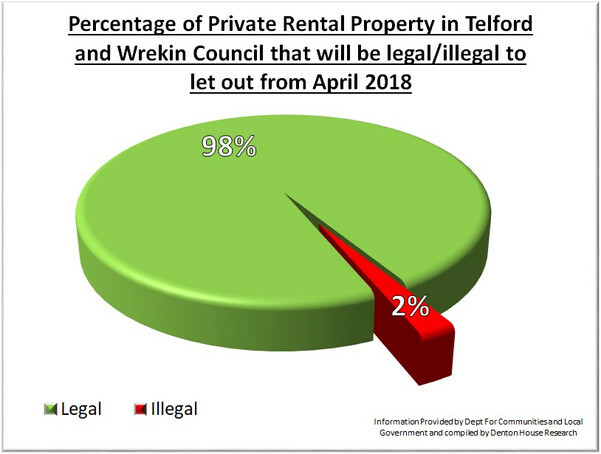 Looking at the whole of the Telford and Wrekin Borough Council area, of the 9,979 privately rented properties, there are ..
That means just over one in 40 rental properties in the Telford and surrounding area has an Energy Performance Certificate (EPC) rating of F or G. From April next year it will be illegal to rent out those homes rated F and G homes with a new tenancy. Talking with the Energy Assessors that carry out our EPC’s, they tell me most of a building’s heat is lost through draughty windows/doors or poor insulation in the roof and walls. So why not look at your EPC and see what the assessor suggested to improve the efficiency of your property? I can find the EPC of every rental property in Telford, so irrespective of whether you are a client of mine or not, don’t hesitate to contact me via email (or phone) if you need some guidance on finding out the EPC rating or need a trustworthy contractor that can help you out?